This Irish garter features white shamrocks on lace and it is ideal for a bride on her wedding day. This Irish wedding garter features lace material along with a white shamrocks. 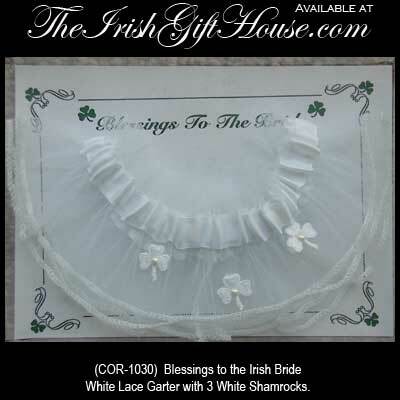 The Irish garter is gift boxed with a shamrock history card that is complements of The Irish Gift House.